We are coming up on Memorial day weekend and it is easily one of the busiest days of the year for boating/fishing in Estero Bay and Fort Myers! I always tell people if they ever want to have a good time and laugh all day go to a busy local boat ramp like Punta Rassa on Memorial Day the things you will see are hilarious! Lets focus on whats important though and that fishing, the fishing has been VERY good in some areas and VERY slow in others. 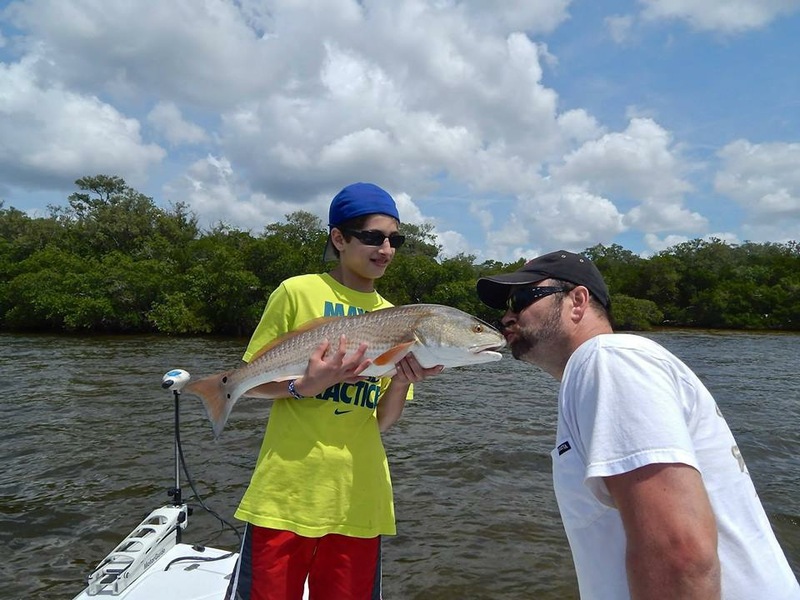 The Redfishing and overall inshore fishing has been way out of wack. It’s May and usually this time of year anyone can catch fish. This year has not been the case and it has alot of captains and guides scratching their heads, including me. We have managed to catch fish inside but not in the numbers May usually produces. The near shore waters however for Tarpon and other species has been fantastic! The tarpon are in full swing and can be found off our beaches migrating their yearly spawn route. Crabs have been the best bait to use but people are getting them on Threadfins also. If using crabs a cork to hold it in the right spot is key, threadfins i just free line. If you see the schools the best approach is a quiet one, use a trolling motor and keep the boat noise to a minimum (walking around, opening and closing hatches) anything that could tell the fish you’re there. These fish have been seeing a ton of pressure and anything you can do to gain an edge will help you catch fish. Be safe out there on the water everyone and have a great Memorial Day!